In order to be successful in social media, there are a slew of things that you can do and think about when you first start out. The list can be long, but to tell everyone to do exactly the same would be a disaster. We network because we want to share, learn and connect with people who have skills and knowledge that we don’t have. Social media is such a vast field, and the options are many when it comes to what platforms will be best for our purposes. To just dive in and take the first available option or to choose a strategy just because everyone around us is using it would be a really bad idea. There are some things that we should think about before we start, and I think I have a simple yet effective list for it. It’s a list put together as an infographic by PR Marketing, and it will take us through the 5 ways to make our social media experience more effective. After all, it’s about connecting on a personal level and building a network that suits us and our intentions. However, before we gulp all of this information into our knowledge bank, there are a few things that I would like to point out that might be helpful along the way. Make sure you know what the reasons are that you join a social networking platform. Knowing that makes it easier to pinpoint and choose the platform that will serve your needs best. If you have a lot of images and designs you want to show off, then joining Twitter would probably not be the best idea. Go with Béhance or Flickr for that for example. 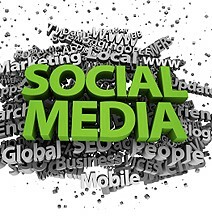 All of the social networking platformsavailable have different focuses, and you’ll do good in choosing the one that you think will be best for your purposes. After having pinned that down, you can go ahead and just read through these 5 ways that will make you not only a successful social networker, but also keep it on a personal level. After that, just rock on! Reblogged this on My Internet Marketing Today.